Sale prices dropped even lower! All sale items are now 40-80% off! Don’t miss out on great pieces at a low price! 30% Off is happening now! Almost the entire store is 30% off…stop in and shop it up! …and miss out on our FLASH SALE…15% off the entire store today (excluding Wire+Pearl)! Happy April Fools’ Day from Bella. We are open 10am-6pm. Today 2/5 only…10am-6pm. All other sale items are Buy One Get One 1/2 off! 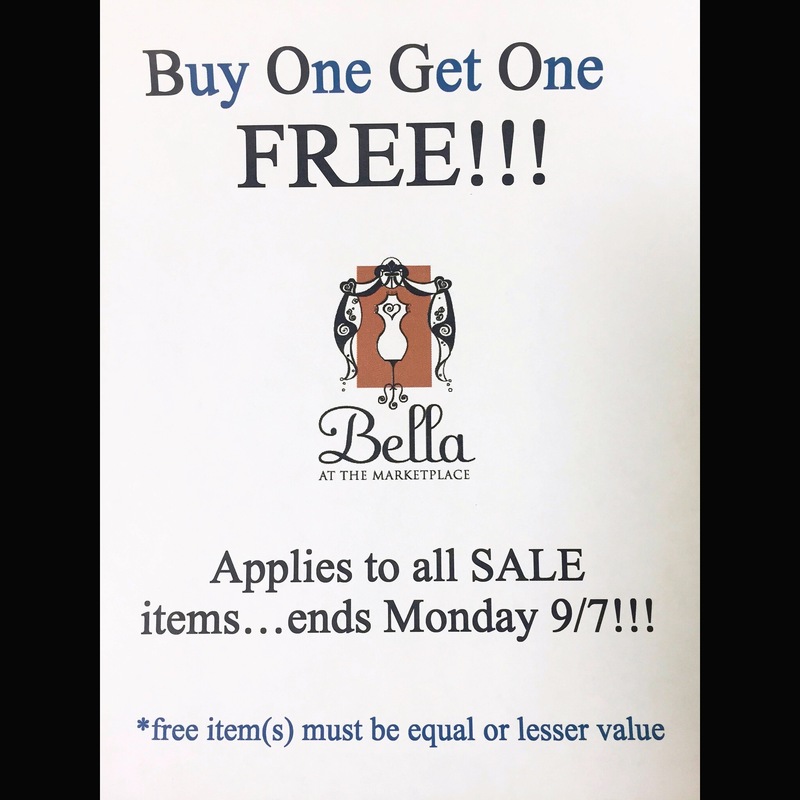 The Bella Sale is on!!! Our semi-annual sale officially started today! All sale merchandise is 30-70% off. Make sure to check our social media (Facebook & Insta) 12/13-12/24 to see what the daily promotion is!!! Come in to shop these great deals…we are open until 6pm!